Fall/Winter 2018 sees the return of Italian sportswear label Sergio Tacchini to Stuarts London, read on to learn more. Sergio Tacchini are back with a bang, bursting onto Stuarts shelves with some of their most celebrated designs straight from the archive. 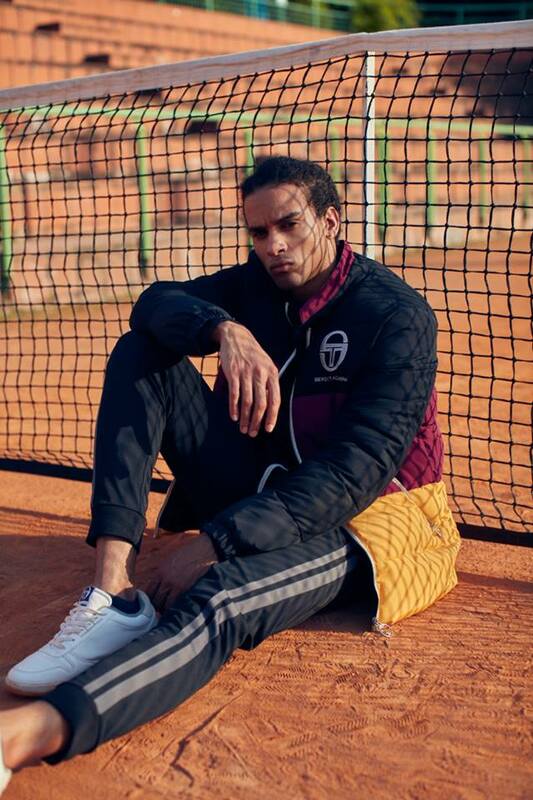 The Italian sportswear label gets its name from the famous Tennis player Sergio Tacchini who founded the brand back in the 60’s; the eponymous label’s rich history continuing to inspire their latest collections. A perfect amalgamation of both Italian creativity and practicality result in a culture spanning label with deep roots in Tennis. The brand is loved by those part of the 80’s casual sub culture for its elegant and timeless style. The new Archivio collection effortlessly represents the Sergio story, portraying the elegance and history of the brand. The inspiration for the new Archivio collection comes from iconic essentials from the Italian brand’s archive. Bursting with history, the styles featured have been seen on many of the greats of tennis, being reworked with modern materials and graphics to give them a fresh twist. With a muted colour pallet offering a vintage aesthetic, key pieces from the new collection include classic 80’s casual pieces such as the Ghibli track top and IVO bucket hat in a brilliant marigold. Hit the link below to view the full collection. In other fashion news, the boundary defining label None of the Above is out now – learn more.